Online advertising contributed a fifth of 2018 total revenue of CNY312.7bn ($46.7bn), which rose 32%. 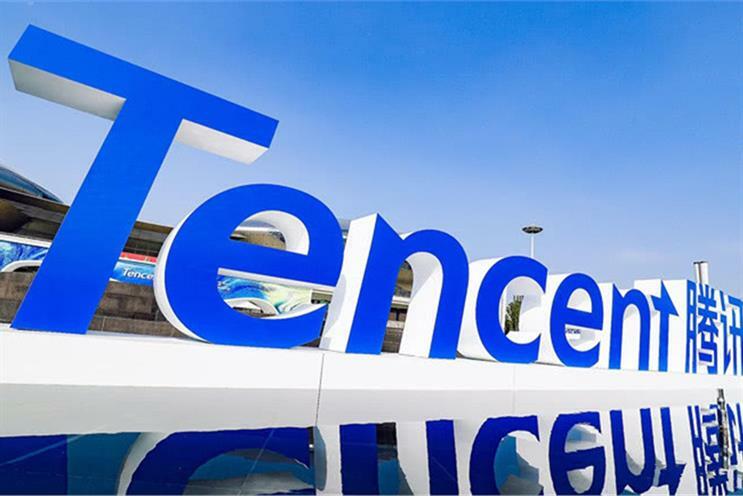 China internet giant Tencent Holdings saw its advertising business grow rapidly in 2018, driven by a social media ad explosion, but economic uncertainties dampened fourth-quarter growth. Net income at the owner of WeChat reached CNY77.4bn ($11.6bn) in 2018, an increase of 19% year on year, whereas the fourth-quarter figure dropped 32% to CNY14.2bn ($2.1bn), according to company's financial statement, released on Thursday. Online advertising revenue surged 44% to CNY58.1bn ($8.7bn), contributing about a fifth of 2018's total revenue. Fourth-quarter growth, however, slowed to 38%, reaching CNY17bn ($2.5bn). Smartphone gaming remains a significant part of Tencent’s business, rising 24% to CNY77.8bn ($11.6bn) for the year. Following the release, James Michelle, chief strategy officer at Tencent, said in a telephone conference that macroeconomic uncertainties in the second half of last year impacted the company’s advertising business. Advertisers cut their budgets, especially those with large budgets, such as automakers. "But Tencent’s fourth-quarter advertising business still grew much faster than the industry average, due to the company’s broad advertising inventory, improvement in technologies and attractive prices," Michelle said. Tencent launched advertising on its mini programs (apps within apps) at the end of the second quarter of 2018. This, together with WeChat Moments, QQ and other channels, drove its social and other advertising revenue to CNY39.8bn ($5.9bn) in 2018, up 55% year on year. Daily user numbers for the mini programs, which now cover 200 service sectors, grew rapidly, with daily visits per user increasing 54% year on year, the company said. "Advertising revenue from mini programs witnessed sound growth in the third quarter and maintained double-digit growth in the fourth quarter, but the video advertising didn’t contribute much because of the delayed delivery of certain drama programming," Michelle said. At the conference, Tencent also expressed confidence in its future advertising revenue growth. "We have enough ads to provide them gradually," Michelle said. "For example, users may see only one or two ads in WeChat Moments each day, while for similar products from international players, they provide around 10 ads. In addition, we have started to launch news feed ads… Our financial statement showed this business posted good growth." Tencent made a point of stressing its commitment to protecting users’ personal data. Asked how the company uses WeChat data to offer precision services, Tencent president Liu Chiping said: "We never provide user data to our partners… even among different departments and platforms, because we value privacy. "As for precision advertising, advertisers need to explain what targets they are looking for, and then we will dig data in our network to provide matching services."